Do your part to help kids breathe easier around schools. 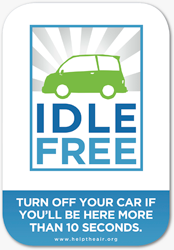 Create an idle reduction policy today! Taking action and establishing a policy is an easy way to raise your school’s “green” profile. Please contact APCD by email or by phone at (502) 574-6472 for more information.